缅甸维加斯注册_15608839111_公告:【注册网址_www.wjs666.net】_缅甸维加斯注册,充值大优惠,详情请联系客服。Systemic sclerosis (SSc) is an autoimmune disease which severely harms the health of human beings. Autoimmune disease has become a hot field of research in recent years, study of SSc, however, is lagged far behind from that of such diseases as systemic lupus erythematosus and rheumatoid arthritis. In 2009, with the cooperation of Fudan University and other institutions in China, University of Texas Health Science Center at Houston, U.S.A. successfully applied for the UO1 research project of NIH, to promote the multi-center genetic research of SSc. The kick-off meeting of UO1 was held in 2010, in Shanghai, China. Through the communication between specialists from the US and China, they both considered it necessary to establish an international SSc cooperation organization initiated by China and U.S. Then comes the International Network of Scleroderma Clinical Care and Research (InSCAR). It has been served as a platform, upon which basic and clinical research efforts of SSc are combined globally, to strive for the exploration of the pathogenesis, the early diagnosis and effective treatments. 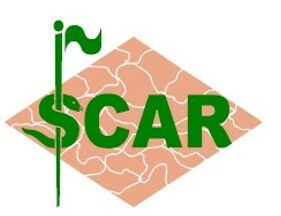 The InSCAR consists of Steering committee Board, Executive Board, Secretaries and Members. Prof. Maureen D. Mayes from UT serves as chair of InSCAR, while Prof. Xiaodong ZHOU from Univ. of Texas and Prof. Hejian ZOU, Chief of Institute of Rheumatology, Immunology and Allergy (IRIA), Fudan University, serves as the vice chairman of the institute.